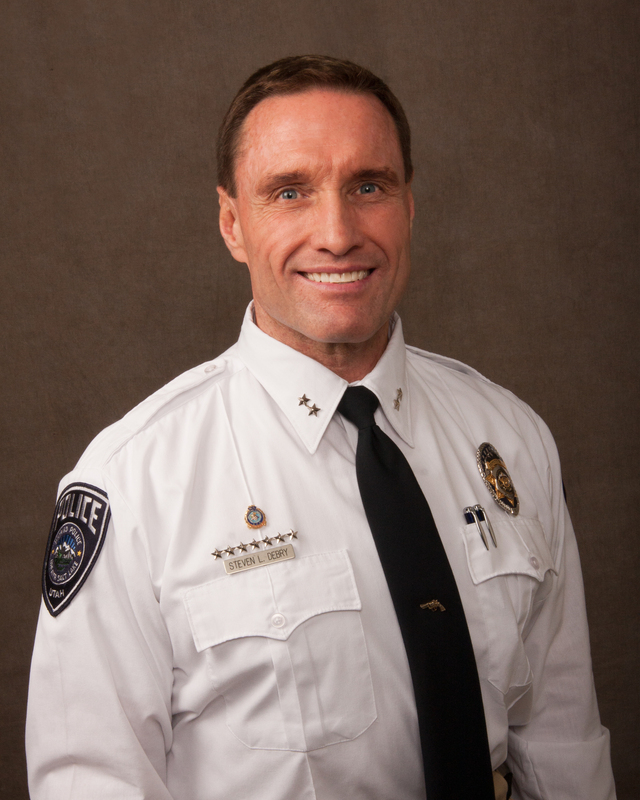 The Unified Police Department Millcreek Precinct employs one Chief, one Lieutenant, and eight Sergeants who are tasked with supervising law enforcement operations in Millcreek City. Our precinct presently has twenty-five patrol officers, three full-time traffic officers, seven Street Crime Detectives and four Community Crime Suppression Unit (C.C.S.U.) Detectives, two Community Oriented Policing (C.O.P.) Detectives, four School Resource Officers, a full-time victim advocate and one secretary who work within this jurisdiction. Our team enjoys extensive law enforcement experience. Officers utilize their years of training and knowledge from previous assignments to help solve crimes, complete traffic investigations, and run a highly successful Community Oriented Policing program. Our functional diversity is a tremendous benefit to the varying communities in which we serve. Our operations mission is a top priority in 2019. Surveys conducted continually rank traffic problems, speeding, drugs/alcohol and crime reduction as the priority of this community. We focus intently on the prevention of traffic accidents and congestion, while aggressively enforcing speed compliance. This was accomplished by our committed traffic enforcement team. These experienced officers place educational "speed trailers" near trouble zones. These trailers use radar to remind drivers of their speeds, and work as an excellent speed-reducing tool, keeping our streets, pedestrians, and other drivers' safe. The traffic enforcement team also targets traffic issues, such as school zone safety, red-light violations, aggressive drivers, and speed compliance. The Millcreek Officers engaged in pro-active patrol techniques that resulted in numerous arrests of suspects involved in continuous criminal activities. For example, working with our district detectives, they developed crime patterns of vehicle and residential burglars to solve crimes and put suspects in jail. Numerous drug investigations have resulted in arrests, assisting in removing illegal drugs from Millcreek streets which are investigated by our Investigations Division and our Community Crime Suppression Unit (C.C.S.U.). Our officers also assist the Canyon Patrol units in responding to calls in nearby canyons, which include Emigration, Parley's, Millcreek, and Big & Little Cottonwood Canyons. We pride ourselves on community service, working closely with local community councils, and neighborhood groups to deliver the level of law enforcement service they expect and deserve. Our main concept of Community Oriented Policing is "The Team". This team involves UPD officers and members of the community we serve. We are very pro-active with our C.O.P. philosophy by working closely with citizens, business owners, schools, and a myriad of other individuals and organizations. We work in conjunction with each other to obtain our goals and objectives in reducing crime and the fear of crime. Millcreek C.O.P. Officers provide, and get involved with, several programs for our citizens that help to create this teamwork atmosphere. These include Neighborhood Watch, Mobile Neighborhood Patrols, The Officer Friendly Program, which is part of The Millcreek City Promise Program, and other crime prevention and safety programs. These committed members also work with zoning, Millcreek City Code Enforcement, Adult Probation and Parole and a variety of other organizations. Drugs and under age alcohol violations are among the top priorities with this unit. We actively enforce laws pertaining to these as well as provide programs and workshops for education and prevention. We maintain the EASY Grant (Eliminating Alcohol Sales from Youth) from the State of Utah and participate in "America Buckle Up" campaign. These programs are funded by the State and provide valuable resources to assist us with our goals. We have found that decentralizing our property crimes detectives and having them assigned at the precinct level has worked well and paid dividends. It keeps everyone in the precinct working close and gives more accountability and ownership of assigned areas and cases. Moreover, the Investigators are teamed with C.O.P. Officers in specific areas, because of working together; they have solved numerous cases and been instrumental in preventing crime. These officers collaborate to work vice activity as well. With nine bars and clubs in Millcreek City, dealing with issues that arise, and providing enforcement can be challenging and resource intensive. However, we are pleased to report our proactive approach and enforcement in these establishments are proceeding smoothly and efficiently. All investigators are housed on the second floor of the UPD Millcreek Precinct sub-station along with the C.O.P. Detectives. A full-time civilian support staff member is also part of this team. We all enjoy working together as a cohesive group and are looking forward to the future, to implement ideas and strategies, to accomplish our goals of reducing crime and the fear of crime, to make our communities in Millcreek a safer and more enjoyable place to live, work and visit. The Millcreek Community Crime Suppression Unit (C.C.S.U.) consists of 1 Sergeant and 4 Detectives. Millcreek City has very diverse demographics, and each day, this highly visible unit deploys together within Millcreek City. It is their mission to identify and resolve specific community issues. Citizens and business owners are encouraged to report any crimes or ongoing issues of concern to the Millcreek Precinct. The Community Crime Suppression Unit addresses issues relating to narcotics, nuisance homes, traffic issues, and various other issues which may arise. The Unified Police Department will assist Millcreek residents to setup and maintain A Neighborhood Watch program to deter criminal activity in their neighborhood. Contact Millcreek Precinct for more information. The Unified Police Department will assist Millcreek business owners and managers to setup and maintain a Safety check of their business and assist with crime prevention training classes. Contact Millcreek Precinct for more information. Paid employees managed by the Unified Police Department ensure safe crossing of students during specific hours at school crosswalks and intersections. Contact Millcreek Precinct for more information. Adult volunteers help represent the Unified Police Department at booths for local community events, assist with crime prevention programs, conduct surveys, and provide community input to the Unified Police Department. Contact Millcreek Precinct for more information. Young men and women ages 16 to 21 participate in a Boy Scouts of America Explorer program to provide youth with an introduction to law enforcement work. Interested candidates can contact Millcreek Precinct for more information. A volunteer horseback riding club which represents the Unified Police Department at community events and competitions. Posse members belong to the Utah State Western Riding Club Association (USWRCA). Select citizens receive hands-on instruction concerning modern law enforcement. If you are interested in learning about this unique opportunity or attending a future academy session, please contact Millcreek Precinct for more information. Re-implementation of this program of volunteer officers is under development. Contact Millcreek Precinct for more information. Millcreek Precinct offers a Drug Disposal Box. If you currently have expired or unwanted prescription or over-the-counter medications in your households and have traditionally disposed of them by flushing them down the toilet please bring them into the Millcreek Precinct Office for disposal. Click here for more information. The Officer Friendly program is designed to forge a positive relationship with elementary students and law enforcement officers. This is done through many different avenues including officers attending recesses, lunches, assemblies and being in the schools so students can interact with them. Officer Friendly officers give presentations for the school that are tailored to the needs of their students. ; Some of the lessen plans that are currently being utilized are for at home alone safety, bike safety, bullies, drugs and alcohol, gangs, Halloween safety, internet safety, rules of motorized scooters and mopeds, school bus safety, stranger danger and gun safety, street sense and walking to school. Contact Millcreek Precinct for more information. Call 9-1-1, Appropriate resources will be immediately dispatched to assist you. A Dispatcher will take your preliminary information. An officer will be dispatched to contact you. All calls are prioritized and dispatched according to immediate needs and crime severity. Office hours: Mon - Fri, 8:00am to 12:00pm & 1:00pm to 5:00pm. After-hours, weekends and holidays contact an officer through Dispatch. To request general speed enforcement at a specific location contact Millcreek Precinct for more information. A Millcreek Precinct traffic enforcement officer will assess the location for violation frequency. If warranted various methods of traffic calming can be implemented including more frequent enforcement, temporary placement of a speed radar trailer, permanent placement of stop signs or speed radar signs, more extensive speed studies, and speed controls or other engineered road calming. Residents Against Graffiti started when a group of residents in the East Millcreek area of Salt Lake County armed themselves with paint and solvents to clean up and rid their neighborhood of graffiti. Salt Lake County patterned its graffiti program after this group in the spirit of community and government working together to combat graffiti and the negative influence it engenders. Graffiti and "tagging" is an unsightly defacement of our communities. Remove all graffiti within 24 hours! The longer graffiti stays up the longer its adverse affects infect us. Please report all graffiti to the Unified Police Department. We also have some graffiti removal supplies and resources available at the Millcreek Precinct. No community is without the devastating curse of illegal drug use. Report suspected drug activity to the Unified Police Department. On-going activity will be investigated by Millcreek Precinct C.O.P. detectives who coordinate with the Unified Police Department Narcotics Unit as well as investigators from other agencies. Once you have provided information you should expect that the investigation will take some time and you are not likely to know its progress until it is completed. Millcreek Precinct is staffed by 52 full-time officers and two civilians. Additional Unified Police Department resources are available to the residents of Millcreek. Many of these members have specialized assignments providing Millcreek with a wealth of knowledge, experience, and expertise. Small Claims Court & Repossessions.